The Saadian tombs in Marrakech date back from the time of the sultan Ahmad al-Mansur (1578-1603). They were only recently discovered (in 1917) and were restored by the Beaux-arts service. 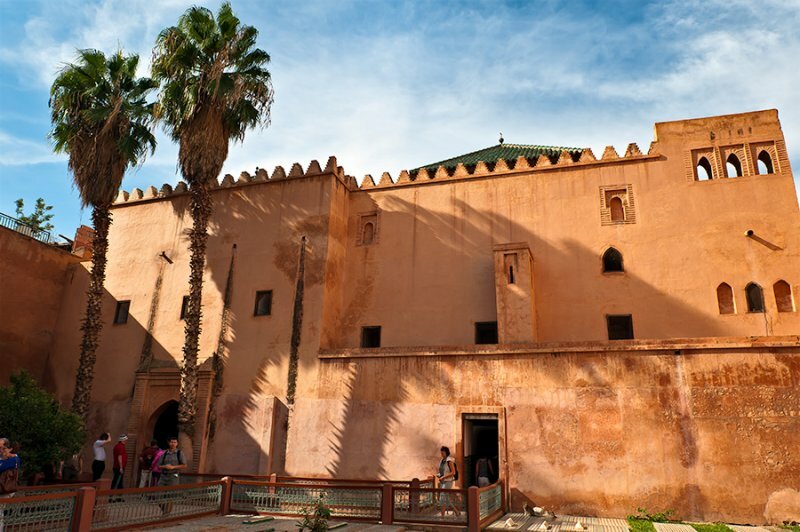 The tombs have, because of the beauty of their decoration, been a major attraction for visitors of Marrakech. The mausoleum comprises the corpses of about sixty members of the Saadi Dynasty. Beautiful photo, Jola, of architecture. V.